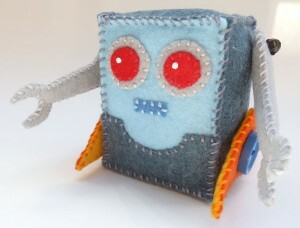 Introducing PlushBot model #2112! He’s new to the PlushBot family and ready to move into his new home. This cute little robot measures 3 1/4 inches tall and 3 1/2 inches wide. 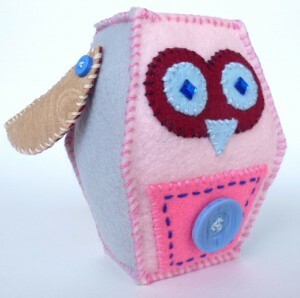 He’s hand sewn from eco-friendly felt, and embellished with beads, buttons and a bit of fabric paint. Get PlushBot #2112-02 at my Etsy Shop.